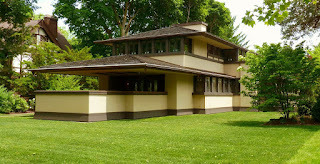 Frank Lloyd Wright graced Rochester with his work in the form of the Edward E. Boynton House. Unlike most of his other gems, the house remains a private, single-family residence today. Rochester's third tallest building, a relatively unique structure called The Metropolitan (formerly Chase Tower), was designed by John Graham & Company, best known for designing the Space Needle in Seattle. As noted previously, landscape architecture in Rochester is the real deal. Famed landscape architect Frederick Law Olmsted designed multiple local parks including Highland Park, Genesee Valley Park, Seneca Park, and Maplewood Park. Most American cities which have undergone the cycle of growth, decline, and renewal hit rock bottom in the early to mid-1980s. Most cities which nadired in the early to mid-1980s began to experience growth in the early 2000s, or about 20 years after reaching their floor. Certain evidence points to Rochester's valley occurring in the early to mid-1990s. For example, McCurdy's and Forman's closed in 1994. Wegmans closed its downtown branch at about the same time. In fact, Midtown Plaza didn't formally close until 2008. If Rochester's low point did in fact occur in the early to mid-1990s, we would expect that its awakening should be beginning basically now. A look around downtown might suggest that we're right on track. As previously noted, Rochester does not benefit from the free advertising which comes along with a major sports team. To add insult to injury, it could be argued that the region's brand has actually suffered based upon mere proximity to an NFL team: the Buffalo Bills. As per The Washington Post, Buffalo is considered a must-see among fans of great architecture. Three of America's greatest architects, namely Louis Sullivan, H.H. 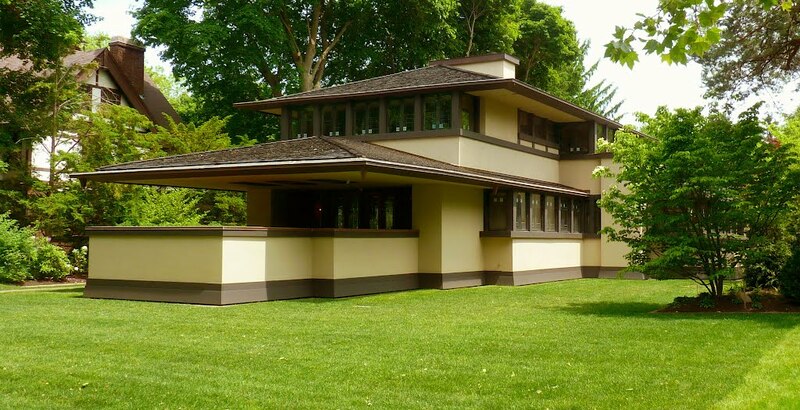 Richardson, and Frank Lloyd Wright, had a hand in Buffalo's elegance. In art circles, Buffalo's Albright-Knox Art Gallery is recognized as having one of the most significant collections of modern and contemporary art in North America. Pablo Picasso, Vincent van Gogh, Paul Cezanne, Henri Matisse, Paul Gauguin, Jackson Pollock, and Andy Warhol are a few of the names represented. Buffalo's park and parkways system, designed by Frederick Law Olmsted (think Central Park in New York City), is recognized as one of the best urban green spaces in the world. In 2007, Buffalo's Elmwood Village was recognized by the American Planning Association as one of 10 Great Neighborhoods in America. This recognition placed Elmwood Village in the company of neighborhoods in Washington, DC; San Francisco, CA; Austin, TX; Brooklyn, NY; and Seattle, WA. Chicago: A 1950 population of 3,620,962 had dropped to 2,695,598 in 2010. Philadelphia: A 1950 population of 2,071,605 had dropped to 1,526,006 in 2010. Washington, DC: A 1950 population of 802,178 had dropped to 601,723 in 2010. Boston: A 1950 population of 801,444 had dropped to 617,594 in 2010. Minneapolis: A 1950 population of 521,718 had dropped to 382,578 in 2010. It should be noted that the above cities are now in the process of repopulation. Of course, Rochester is free to follow suit. As may have been apparent in previous posts, I have Portland envy. Not that Portland, ME, is any slouch, but I'm referring to Portland, OR. Granted the Portland, OR, metro area is over twice the size of the Rochester metro area, is around 90 minutes from the Pacific Ocean, and has mountains. On the other hand, Rochester is reasonably sized, is on Lake Ontario and very near the Finger Lakes, and holds its own when it comes to outdoorsiness. Furthermore, Rochester is beginning to mirror Portland's beer and coffee scene, and it abuts a formidable wine region just as Portland does. The demographics of the Rochester region are somewhat similar to those of Portland, and educational attainment is nearly identical. Both cities have an inferiority complex, with Portland's self-doubt stemming from proximity to Seattle and Rochester's insecurity deriving from its Northeast neighbors. Both areas have ample precipitation, with Portland actually taking the edge in terms of cloudiness. Why, then, is Portland viewed as remarkably desirable while Rochester gets the shaft? Appearance goes a long way, and downtown Portland's appearance essentially crushes that of Rochester. Which demands yet another question: WHY? Rochester's fastest growing suburb, Victor, is not in the same county as the city of Rochester. Victor, in Ontario County, has attracted many young families with its lower property taxes compared to Rochester's Monroe County. As such, Victor residents benefit from the economic and cultural assets of the region without having to contend to the same extent with supporting the urban core. Within Monroe County, Rochester's suburbs seem to compete with the city of Rochester. A new development in a suburb is not on the city's tax roll and vice versa. The city of Rochester and Monroe County enjoy bickering over who pays for what, apparently ignoring the fact that they may have a common interest or two. Because of this fragmentation, Rochesterians have to point to data to sell the area, while better managed regions can allow aesthetics to do the talking. In 1957, Rochester was officially declared "Smugtown." In that year, Curt Gerling published his book entitled Smugtown U.S.A., a scathing commentary on the business and social life in Rochester during that era. As a transplant from the BosWash corridor over 50 years later, my initial impression has been that any smugness in the Rochester region pales in comparison to that found along the East Coast. Rochester seems to have done quite well in combining intelligence with down-to-earthness. Every few months, we receive a friendly reminder about the critical level of poverty in the city of Rochester. Obviously, the issue warrants significant concern, though a recalibrated perspective never hurts. As previously shown, redrawing the boundaries of the city such that it includes 45.8% of the metro area (as is the case in many parts of the country) would suddenly turn one of the poorest cities in the country into a relatively "wealthy" city. Unfortunately, the probability of enlarging the land area of the city is exceedingly low. As such, the only hope for a geographically restricted entity such as Rochester is to either (a) hope that excessively harping on poverty makes it disappear, or (b) repopulate the city with residents who are above the poverty level. 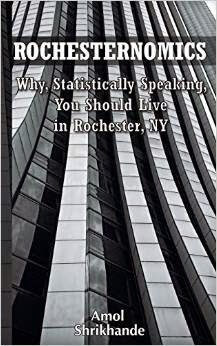 The city of Rochester had its highest rate of population loss between 1970 and 1980. In 1970, the population was 296,233, and in 1980 it had declined to 241,741 (a loss of 18.4%.) What if Rochester's population moved from its current 210,000 back up to the levels seen between 1970 and 1980? Adding 72,857 residents above the poverty level would move Rochester's population to 282,857 and drop the poverty rate from about 33% to 24.5%, i.e. the same as Dallas. Adding 56,538 residents above the poverty level would move Rochester's population to 266,538 and drop the poverty rate from about 33% to 26%, i.e. the same as Philadelphia. Obviously such repopulation might seem like a pipe dream. On the other hand, Boise, Idaho, has added 90,544 residents over the past 24 years.